George Soros, (Hungarian: Soros György; born György Schwartz; August 12, 1930) is a Hungarian-American investor, business magnate, philanthropist, political activist and author. 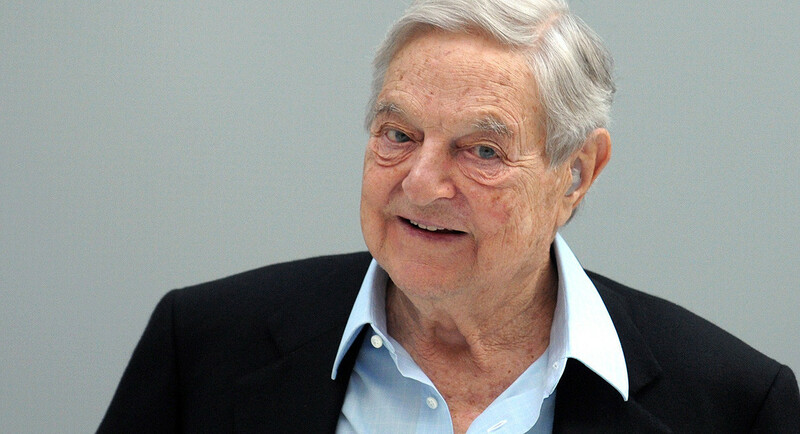 Soros is one of the world's most successful investors. As of February 2018, Soros had a net worth of $8 billion, after donating $18 billion to his philanthropic agency, Open Society Foundations. As a man with old parents and older grandparents in the past the Firzt and Second World Wars and even the Russian revolution, pair of revolutions in Russia in 1917 which dismantled the Tsarist autocracy and led to the rise of the Soviet Union. The Februari revolution and the October revolution and the Polish-Sovjet war, the Polish-Ukrainian war, the Polish Lithuanian war and the Silesian uprisings in the Interbellum period (1919-1939) were part of the European and family history, just like Black Thursday 1929, The Great Depression of the Thrities and the Cold War. My parents carry there Thirties and Second World War memories with them and that makes them who they are. Bombardments, destruction, oppression, occupation, dictatorship, Totalitarian terror, being not free, having no normal youth and rebuilding lives and families after the war in the late fourties and fifties. Recently I saw some video's about George Soros which made me think. He survived in Hungary as a Jewish Hungarian boy by acting as a christian Hungarian boy and collaborating with the Nazi occupiers. Soros was born in Budapest in the Kingdom of Hungary to a well-to-do non-observant Jewish family, who, like many upper-middle class Hungarian Jews at the time, were uncomfortable with their roots. Soros has wryly described his home as a Jewish antisemitic home. In 1936 Soros' family changed their name from the German-Jewish Schwartz to the more Hungarian sounding name Soros, as protective camouflage in increasingly antisemitic Hungary. Soros was 13 years old in March 1944 when Nazi Germany occupied Hungary. Jewish children were barred from attending school by the Nazis, and Soros and the other schoolchildren were made to report to the Judenrat ("Jewish Council") which had been established during the occupation. Soros later described this time to writer Michael Lewis: "The Jewish Council asked the little kids to hand out the deportation notices. I was told to go to the Jewish Council. And there I was given these small slips of paper... I took this piece of paper to my father. He instantly recognized it. This was a list of Hungarian Jewish lawyers." He said, "You deliver the slips of paper and tell the people that if they report they will be deported." Soros did not return to that job; his family purchased documents to say that they were Christians, thereby allowing them to survive the war. Later that year at age 14, Soros posed as the Christian godson of an official of the collaborationist Hungarian government's Ministry of Agriculture, who himself had a Jewish wife in hiding. On one occasion, rather than leave the 14 year old alone, the official took Soros with him while he inventoried a rich Jewish family's estate, though Soros did not take part. Tivadar not only saved his immediate family but also many other Hungarian Jews, and George would later write that 1944 had been "the happiest [year] of his life," for it had given him the opportunity to witness his father's heroism. In 1945, Soros survived the Siege of Budapest in which Soviet and German forces fought house to house through the city. yes, I agree, I think George Soros is amazing and it hurts me to see how some people and governments (current Hungarian government) hate this person. I think the more remarkable are we, the more people love or hate us.